How much does jewelry engraving cost? How long does jewelry engraving take? It takes only 1 business day from the day we receive your items to engrave. What type of fonts can be engraved? 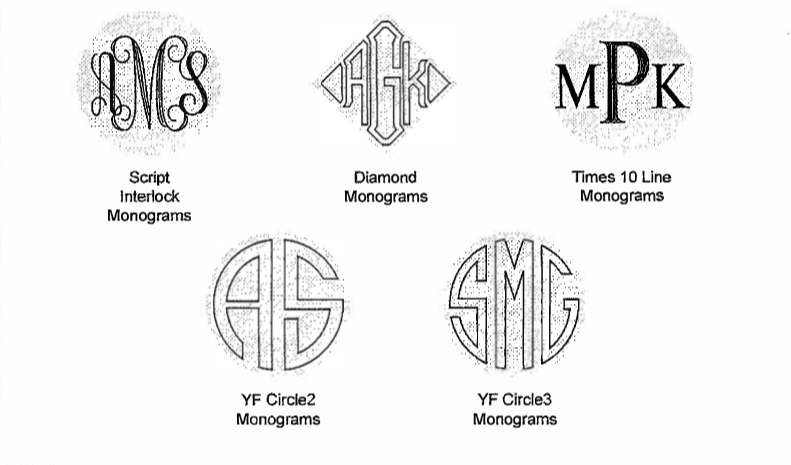 We also offer monogram options. When placing your order, please make sure to note the style you want. What kind of metal do you engrave? We engrave all kinds of metal, including gold, sterling silver, platinum, titanium, and gold or silver plated jewelry. We work with all metal types, including gold, sterling silver, platinum, titanium and gold or silver plated metals. Getting started isn’t hard. Simply let us know what item you would like engraved and we will provide you with size and font options. Your engraving can be elegant, informal or humorous; it may include a single word, a phrase or images either on their own or together with words. Quick Jewelry Repairs offers a speedy jewelry engraving service. Once the work is done, your jewelry item will be shipped to you in a reliable and secure manner. Get in touch with us if you need an engraving done by experienced experts who are passionate about their work. We take pride in offering unique, customized services that will enable you to get the exact engraving you want without undue delay.